How can I enter the U.S. as a vocational student? The M-1 visa offers students the opportunity to train in a positive U.S. environment while strengthening their technical and non-academic skills (this visa does not apply to language training). The M-1 visa is offered to students who wish to pursue full-time study at an USCIS-approved vocational or non-academic school in the U.S. Your spouse and unmarried children under the age of 21 may join you in the U.S. if they have nonimmigrant M-2 status. Although M-1 and M-2 visa holders are not allowed to work, M-1 holders may apply for an extension of up to six months for practical training. If you lose your status, your spouse and children will also lose their status. How can I enter the U.S. as an academic student? Many schools in the United States offer great opportunities for students who wish to further their education and training. The intellectual stimulation and social interaction gained by studying in the U.S. can become vital elements of a student’s growth and development. Foreign national students who want to study in the U.S. usually apply for the F-1 visa. Vocational students most often apply for M-1 status. F-2 status allows your spouse and unmarried children under the age of 21 to join you in the U.S. Note that you should bring them with you when you visit the consulate to apply for your F-1 visa. If your spouse and/or dependent children are joining you later, they will need to submit a copy of your USCIS Form (Certificate of Eligibility for Nonimmigrant (F-1) Student Status – for Academic and Language Students) and documents proving their relationship to you to the U.S. embassy staff. The F-2 status of spouse and children is dependent upon your F-1 status. As soon as you are no longer an F-1 student, your family will lose their F-2 status. What is the process underlying the hiring of foreign agricultural workers? The H-2A Visa is the most functional of all visa categories. It fills a specific need for both the U.S. and for foreign nationals. This visa allows foreign workers entry into the U.S. to work in agriculture. The H-2A visa is problematic: growers don’t like the limits of the visa and workers rights advocates don’t believe the laws provide enough support for workers. The H-2A visa is not self-petitioned. Employers must prove that there are no U.S. workers available to perform the work to be completed. Although this is a temporary visa, it can be extended for up to three years. Workers’ spouses and unmarried children under the age of 21 are allowed to join them in the U.S. under the H-4 status. Dependents are not permitted to work unless they personally qualify for a work visa. How do I fill a temporary need for foreign workers? While a limited amount of H-2B Visas are issued each year, the visa is nonetheless useful. The H-2B visa enables U.S. businesses, such as hotels, construction companies, and landscapers, to fill temporary needs for nonimmigrant workers. This visa is also occasionally used to hire professional basketball or hockey players. Many individuals who are unable to obtain an O or P Visa decide to apply for this visa instead. The visa is not self-petitioned, which means you will need an employer to sponsor you. Your spouse and unmarried children under the age of 21 may join you in the U.S. under the H-4 status. Dependents are not permitted to work unless they personally qualify for a work visa. How can I receive training in the U.S.? The H-3 Visa is specifically designed to enable workers in “any field of endeavor” to train in the U.S. (USCIS). Although this loose classification includes agriculture, technology, communications, and governmental leadership, it does not apply to people seeking graduate medical training. This visa can also be used by people entering the U.S. to receive training in special education “of children with physical, mental, or emotional disabilities” (USCIS). Your spouse and unmarried children under the age of 21 may join you in the U.S. under the H-4 status; however, these dependents are not permitted to work. Proof that this training is not available in your home country, and that this training will aid you in your career. Proof that you will not engage in willful employment while in the U.S. Proof that the training is formal in nature. How can I transfer employees to a U.S. operation? Businesses that function both in the U.S. and in their home country benefit from the best of what both areas have to offer. The L-1 visa is open to international organizations with offices in the U.S. who temporarily transfer employees to their U.S. office. This visa is sometimes referred to as the “intra-company transferee” visa. To obtain an L-1 visa, you must be able to prove that you have worked for the non-U.S. company for at least one full year within the last three years as an executive, manager, or employee with specialized knowledge. L-1A visas – for executives and managers. 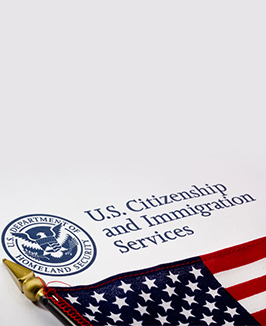 L-1B visas – for personnel with specialized knowledge. L-1A workers may work for up to seven years. L-1B visa holders may work for five years. Your spouse and unmarried children under the age of 21 may join you in the U.S. through L-2 status. L-2 status spouses are allowed to work. How can I get a religious worker to temporarily work in the U.S.? The R-1 Visa enables religious workers to temporarily enter the U.S. A religious vocation is defined as a calling to religious life, demonstrated by a lifelong commitment such as taking vows. Nuns, monks, and religious brothers and sisters are examples of religious workers. This classification includes liturgical workers, religious instructors or cantors, catechists, workers in religious hospitals, missionaries, religious translators, and religious broadcasters. However, this classification does not include janitors, maintenance workers, clerks, fundraisers, or solicitors of donations. The R-1 applicant must demonstrate that he or she has belonged to a nonprofit religious organization in the U.S. for at least the two years. The U.S. petitioning organization must be a tax-exempt nonprofit religious organization that is able to afford to pay and provide room and board for the religious worker. Religious workers who live outside the U.S. should apply for the R-1 visa with their consulate. Religious workers who are already in the U.S. may ask their employer “to petition for a change of status, extension of stay, or change of employment” (USCIS). R-1 visa holders may remain in the U.S. for up to five years. Spouses and/or unmarried children under 21 years of age may accompany the religious worker to the U.S. under R-2 status. R-2 visa holders are not authorized to work while in the U.S., but may attend school. Written proof that the applicant has been employed by the organization for two years. A statement outlining the potential position (including “salary, benefits, and other compensation”) and the applicant”s qualifications for the work to be performed (USCIS). The name and address of the organization where the religious worker will be employed. How can support personnel of people with extraordinary abilities enter the U.S.? O-2 visas are offered to support personnel of O-1 Visa holders in the fields of athletics, entertainment, and motion picture and television production. This status is not applicable to personnel in the sciences, business, or education. The O-2 Visa must be petitioned by a U.S. employer, U.S. agent or foreign employer through a U.S. agent. Your spouse and unmarried children under the age of 21 are permitted to accompany you to the U.S. under O-3 status. Your dependents must prove immediate relation to you, and will not be allowed to work. How can entertainers, circus artists, and athletes work in the U.S.? Artists and athletes are essential to healthy cultural exchange. The global community benefits greatly from the work of each country’s greatest thinkers and performers. P-1 visas are issued to entertainers, circus artists, and athletes who wish to work in the U.S. Outstanding athletes may apply for this visa in order to compete in the U.S., either as individuals or as members of an internationally recognized athletic team. Entertainment groups with an outstanding international reputation can be granted P-1 classification as a unit; however, individual entertainers within these groups cannot apply for separate visas. A letter from “an appropriate labor organization” (USCIS). A contract with a major U.S. sports league or team. Proof of “significant participation in a prior season with a major United States sports league” (USCIS). Proof that the applicant has taken part in “international competition with a national team” (USCIS). Proof of “significant participation in a prior season for a U.S. college or university in intercollegiate competition” (USCIS). Letters demonstrating that the athlete or team is internationally renowned. Proof that the individual or team is ranked, “if the sport has international rankings; or [that] the alien or team has received a significant honor or award in the sport” (USCIS). Proof “that the group has been established and performing regularly for at least one year” (USCIS). The group has commanded and will command a high salary or other substantial remuneration for “services comparable to others similarly situated in the field, as evidenced by contracts or other reliable evidence” (USCIS). How can troupes or bands enter the U.S.? Artists and athletes are essential to healthy cultural exchange. The global community benefits greatly from the work of each country’s greatest thinkers and performers. P-2 Visas are issued to troupes or bands entering the U.S. as part of an exchange program. “A written consultation by an appropriate labor organization” (USCIS). “A copy of the formal reciprocal exchange agreement between the U.S. organization(s) sponsoring the alien and the organization(s) in a foreign country which will receive the U.S. artist or entertainer” (USCIS). A letter from the sponsoring organization describing the exchange which is to take place. Proof that the nonimmigrant visa petitioner and the U.S. artist or entertainer have “comparable skills and that the terms and conditions of employment are similar” (USCIS). Proof of the agreement between the organizations involved in the exchange. What is the best way to enter the U.S. to engage in a business venture? The nature of the business that they plan to do. The exact length of time that they need to conduct their business. Their intention to return to their home country after the business has been concluded. B-1 applicants may stay in the U.S. for up to one year. What is the ideal tourist visa? The B-2 visa is the ideal entry pass for tourists interested in seeing the U.S. through brief pleasure trips. The State Department defines “pleasure trips” as legitimate activities of a recreational character such as tourism, amusement, visits to friends and/or relatives, rest, medical treatment, or activities of a social or service nature. The B-2 Visa can also be used by spouses or children of C-visa holders who wish to accompany crewmembers or aliens in transit to the U.S.
That they are coming to the U.S. for recreation or medical attention. That they are only going to remain in the U.S. for a specific amount of time. That they have enough money to pay for their trip. That they have a permanent residence in their home country to which they intend to return. B-2 applicants may stay in the U.S. for up to one year. What is the visa classification for ‘treaty traders’? U.S immigration policy supports investors and foreign commerce in a variety of ways. The E-1 Visa is issued to individuals known as “treaty traders”. A treaty trader is defined as a national of a country with which the U.S. maintains a treaty of commerce and navigation. The E-1 applicant must be coming to the U.S. to carry on substantial trade, or to develop and direct the operations of a business in which he or she has invested or will soon invest a substantial amount of capital. The E-1 visa application may be turned in to the U.S. consular in the applicant’s home country. E-1 visa holders may remain in the United States for up to two years. Spouses and children of E-1 visa holders may accompany the treaty trader; however, spouses must apply to USCIS in order to work in the U.S. I am an exchange visitor. What visa should I apply for? The J-1 visa is designed to provide educational and cultural exchange programs, and to promote the sharing of individuals, knowledge, and skills in education, the arts and sciences. This visa enables people to participate in exchange programs in the United States. J-1 visa holders include students, trainees involved in on-the-job training, visiting scholars and researchers, and consultants. Although many J-1 visa holders come to the U.S. for paid on-the-job training, exchange students who visit the U.S. under this status are not permitted to work. That his or her stay in the U.S. will be temporary. That he or she will have sufficient funds to stay in the U.S.
That he or she intends to return to home after the visit. Your spouse and/or unmarried children under the age of 21 may apply for entry under J-2 status. Dependents of J-1 visa holders may work in the U.S. if they can prove that they are able to provide for their own expenses. How can I enter the U.S. in a cultural exchange program? The Q-1 visa supports international cultural exchange such as practical training, employment, and the sharing of the history, culture, and traditions of the participant’s home country in the U.S. This visa enables individuals to participate in exchange programs in the U.S.
Q-1 visa holders must be at least 18 years old and possess the ability to effectively convey their home country’s history and culture for a U.S. audience. Their U.S. sponsor must agree to pay them the same rate that a similar worker in the U.S. would receive. Intends to provide “an overview of the attitude, customs, history, heritage, philosophy, tradition and/or other cultural attributes of the participant’s home country” (USCIS). Intends to make the program available to the public for the purpose of intercultural exchange between the visa holder and the American public. “Has designated a qualified employee to administer the program and serve as liaison with USCIS” (USCIS). Can provide a working environment comparable to that of a domestic employee providing the same services. Is capable of properly compensating the Q-1 visa holder for his or her work. Can I enter the U.S. for a brief period of time without obtaining a visa? Travelers passing through the United States don’t need to be trapped in the airport. The C-1 Visa, also known as the transit visa, enables traveling nonimmigrants to leave the airport and visit family or friends or partake in tourist or shopping ventures. While you are required to leave the U.S. on your departing flight, you are able to spend your waiting time enjoying your surroundings. Each family member should apply for a separate C-1 visa, which will enable the entire family eligible to travel through the U.S.
You may petition for the C visas in person or by mail. Please contact the USCIS Branch, U.S. Embassy or U.S. Consular office that has jurisdiction over the location of your home. A filled-in visa application Form DS-156. Separate applications for each person are required. Two recent photographs 1 & 1/2 inches square (37mm x 37mm) of each applicant, with the entire face visible. The picture should be taken before a light background and without head covering. A passport, valid for travel to the United States for at least six months longer than your intended visit. You have enough funds to reach your proposed destination. You have a ticket or other means to reach your proposed destination. You have permission to enter the country of your final destination, if necessary. What visa can I use to travel to the UN? Government officials traveling through the U.S. to a foreign destination may apply for the C-3 Visa. This visa will enable you to leave the airport and enjoy your surroundings. Your family members and personal employees may also apply for the C-3 Visa. C-3 visa holders may not accept employment while under this status. The C-3 visa is valid for up to 29 days, and under certain circumstances may be used for aliens in transit or crewmembers of a ship or aircraft. What is the visa process for crewmen? Crewpersons serving in good faith for normal operations aboard vessels may apply for the D-2 Visa. This classification includes musicians, stewards, technicians and chefs. The D-2 visa is designed for crewmembers or airmen who are leaving one vessel to depart on another. Those who are traveling with the D-2 crewmember are allowed to do so for as long as the visa remains valid. Is there a temporary visa classification for fiancees? The Legal Immigration and Family Equity (LIFE) Act and amendments, effective since April 1, 2001, created new categories of nonimmigrant visas, including three V Visas, the K-3 Visa, and the K-4 Visa. These extremely helpful visas help ease the immigration process for thousands of individuals, and reunite families separated during the lengthy immigration approval process. The new categories created by this act allow the issuance of nonimmigrant visas to spouses, children and, in some cases, grandchildren of both lawful permanent resident aliens and spouses of U.S. citizens. Beneficiaries may apply for admission to the U.S. as nonimmigrants and then remain in the U.S. until the visa petition is approved or denied. The LIFE Act is specifically aimed at spouses and children for whom an immigrant visa or adjustment of status is not available as a result of processing delays or the lack of openings due to annual visa limitations. Spouses and unmarried children under the age of 21 of legal permanent residents who have waited for three years for visa approval may apply for the V visa. V-1 visas are issued to spouses; V-2 visas are issued to children; and V-3 visas are issued to derivative children of either spouses or children. In order to be classified as V-3, applicants must show that they are the children of V-1 or V-2 status individuals. All applicants must be eligible for visa issuance under all other applicable immigration laws. Because V Visas are only available for petitions filed on or before December 21, 2000, the category will cease to exist when there are no more eligible candidates. V visas are valid for up to two years. K visas are open to spouses of U.S. citizens who are the beneficiaries of an immigrant visa petition. The spouses’ unmarried children under the age of 21 are also eligible. After arriving in the U.S. under K status, these visa holders must apply for an immigrant visa or adjustment of status. K visa holders may seek employment regardless of whether their permanent status has been approved. K visas are valid for up to two years. Where can I find out more information about employment-based immigration? Individuals with exceptional ability in the sciences, arts or business. Physicians intending to practice medicine in underserved areas. USCIS has specified “exceptional ability” in the sciences, arts, or business as “a degree of expertise significantly above that ordinarily encountered” (USCIS). Proof of your academic achievements in the area of your exceptional ability, including diplomas, degrees or certificates from colleges, universities or other institutions. Proof that you have at least ten years of full-time experience in your field. A license to practice your profession or certification in a particular profession or occupation. Proof that you have received a worthy salary or remuneration for your exceptional abilities. Proof that you are a member of professional associations. Proof that you have received recognition from peers, government officials, or organizations for achievements and significant contributions in your field. If the above documentation requirements do not apply to your occupation, you can provide other comparable evidence for eligibility. Your employer must obtain appropriate “Labor Certification (LC)” from the U.S. Department of Labor. USCIS defines an advanced degree as “a professional or academic degree, given by a U.S. institution, beyond that of a baccalaureate” (USCIS). A foreign degree from an overseas institution is acceptable only if USCIS determines that the degree is equivalent to a U.S. degree. You have a U.S bachelor’s degree or it’s foreign equivalent along with letters from your current or former employers showing that you have five years of employment experience, involving incremental responsibility in the profession. This is provided the position offered requires the advanced degree. A petition for an applicant holding an advanced degree can be made when a position requiring an advanced degree becomes available in the U.S. The labor certification must indicate that the available employment position offered requires the advanced degree that you have to perform the job. If you are a qualified physician who will be practicing medicine in an area in the U.S. which has been certified as “underserved” by the Department of Health and Human Services (DHHS), you can apply under the EB-2 category. A job offer in the profession for which you are academically prepared (e.g. : if the profession as a rule requires a doctoral degree, your job offer and the credentials must indicate/reflect it). This category does not require a labor certification. To make the long story short - I wouldn't be here now writing this review if it wasn't for him. He fought with me and for me as if he was defending himself and not some stranger from a foreign country. I will highly recommend him - if your case has any chance at all he is the one you need.